Android has propelled Samsung to the top of global smartphone (and overall mobile) sales and the operating system is flourishing in Southeast Asia, where it now accounts for half of all smartphone sales. Powered by a range of devices, the Google-owned platform’s share of smartphones sold in the region triple to account for 49 percent during the first quarter of 2012, up from 15 percent in Q1 2011, GfK Asia’s Seraphina Wee told The Next Web. The firm published its most recent findings on mobile in Southeast Asia last week, which revealed that the region’s smartphone revolution remains in full swing. 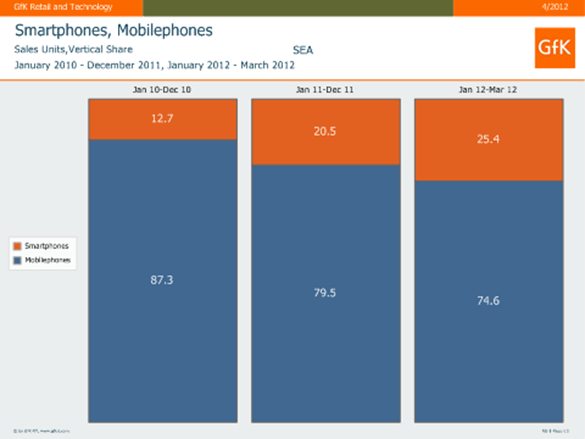 Q1 2012 saw smartphones generate $2.4 billion as 7.7 million units were sold across the region during the period. That increase sees smartphones account for 25.4 percent of all mobile sales, a 4.9 percent increase year-on-year, which is more than double the share two years ago. 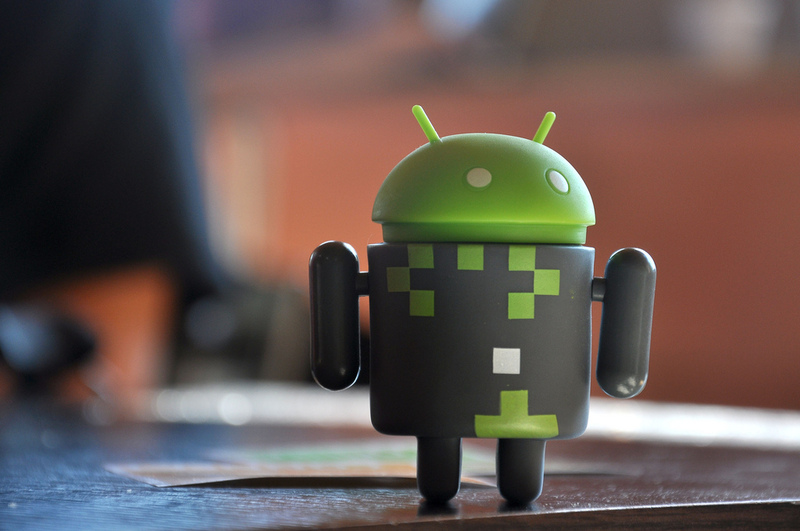 However, Android is responsible for much of that increase as it continues to outgrow the smartphone industry itself. While the growth is stablizing somewhat, it remains impressive and varied across the seven regional markets that GfK monitors. The firm doesn’t break out figures per market, but it did reveal that each of the seven countries it monitors saw smartphone sales increase by a rate between 40 and 400 percent, year-on-year. Of all countries in the region, Indonesia is showing the most potential and highest sales growth, it says. The sheer range of Android devices, which cover affordable and budget phones as well as mid- and high-range smartphones, is key to its continued growth in Southeast Asia and other regions. With little operator subsidization to help users afford expensive phones, GfK expects low- to mid-range priced smartphones will continue to drive the sector forward. While it may be in the shade of markets like China, Japan and Korea, Southeast Asia accounts for one tenth of the world’s population, with Indonesia’s population alone some 240 million. Smartphones sales are tipped to reach 163 million units annually by 2015, up from 106 million in 2011. Read next: Australia is investigating why its software and downloads are more expensive than in the U.S.